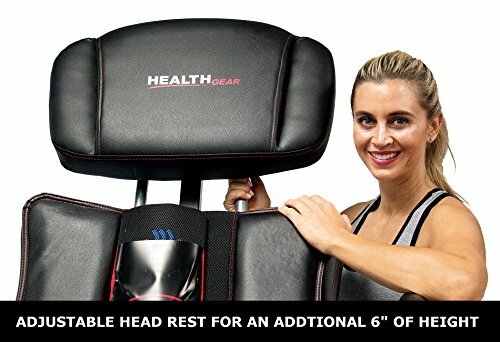 Health Gear ITM7.5 Big & Tall Inversion Table - 400 lbs, 5'1" - 7'0"
The Health Gear ITM7.5 inversion table is a very solid inversion table, that is highly recommended for those who are a bit too tall for the majority of other inversion tables. The ITM 7.5 is able to accommodate users up to a height of 7 feet! 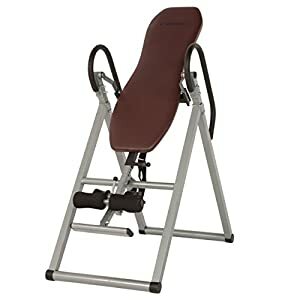 This makes it an excellent choice for anyone over 6 ft 6″ (the maximum height range on most inversion tables) who may find other inversion tables are not suitable for their high stature. 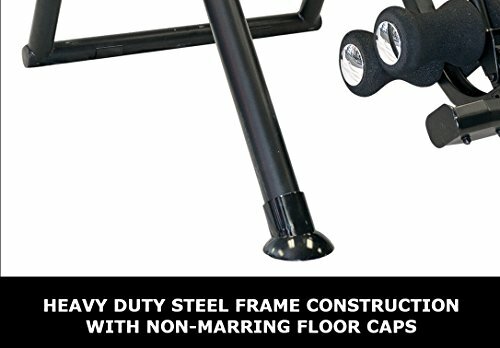 In addition to the extra height, the Health Gear ITM7.5 inversion table also provides some extra weight capacity when compared to the majority of other models. The overall user height range is 5 ft 1″ – 7 ft. In addition to this tables sturdy and accommodating design it is also packed with some great features which we will look at below. If you are after a padded inversion table this is one of the most padded available, featuring over 4 inches of memory foam style padding in the bed and headrest. 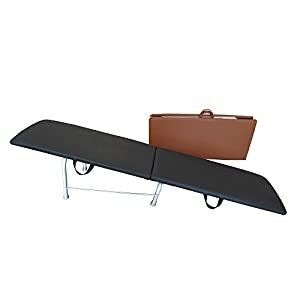 The size of the bed area is also something that really makes this inversion table stand out as it is a very large, wide surface on which to place your body. Since many padded inversion tables only feature a couple of inches of backrest padding this is certainly above the average. However, do be aware that the padding is stated as memory foam “style” and not listed as actual memory foam. The headrest of the inversion table is adjustable so you can further add to the comfort by adjusting it to suit your body perfectly. It is due to the adjustable headrest that this table can provide the extra few inches of height that some taller users may require. This inversion table also comes complete with a removable deluxe heat and vibrating massage pad that can be controlled using the wired hand controller. 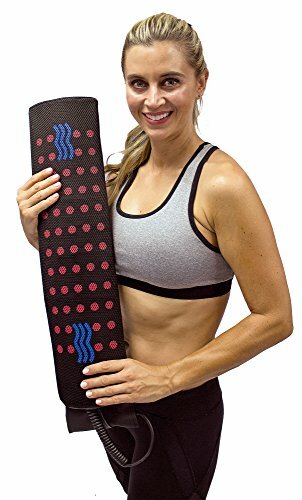 Since the heat and massage pad is removable and lightweight you are not only limited to using it on the inversion table. You can also use the pad all around the home on your bed or on the sofa. The heat and massage functions can be controlled using the handheld remote which allows you to adjust the heat, intensity and duration of the massage function. Note: One thing to be aware of with heat and massage pads on inversion tables are that they are generally not very strong. They are not designed to give a full on massage like you would receive from a massage chair. Often these pads simply provide a bit of heat and a gentle vibrate function for a little extra comfort and stimulation. It is quite common to see buyers have issue with the heat and massage pads included with inversion tables in their reviews. Although it is fairly clear they are expecting a bit much from the pad. 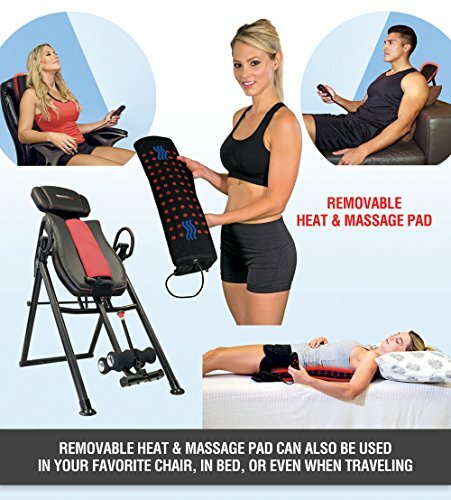 For the most part a heat and massage pad is often a welcome addition for buyers, providing they accept that the functionality will have its limitations. The inversion angle limitation system is probably the feature that could be most improved upon with this inversion table. The table features an adjustable bar that runs horizontally across the back part of the frame that can limit the angle of inversion to either 20, 40 or 60 degrees. This is a fairly ridged and secure angle limitation device to have on the table, however it is a little limited since it only adjusts to 3 specific inversion angles. Despite this, it is still a useful addition that is ideal for those not wishing to partake in full inversion while using the table. It is also a simple system to use and adjust. The ankle supports on the ITM 7.5 are dual padded high density foam rollers to ensure complete ankle comfort while inverting. 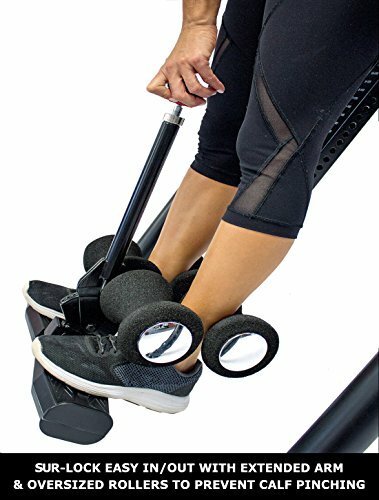 The foam rollers can be easily clamped around your ankles using the extra long ankle locking arm which removes the need to bend down when securing yourself onto the table. Having an extra long ankle lever is always a nice addition to any inversion table. It certainly makes securing yourself on the table easier to do and it is less effort than having to bend all the way down to secure your ankles. 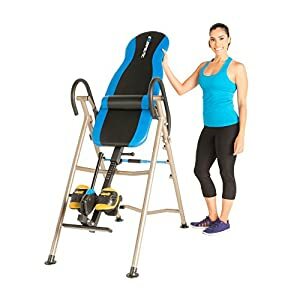 Is the Health Gear ITM7.5 big and tall Inversion table a good choice? If you are on the taller side or need a little extra weight capacity the Health Gear ITM 7.5 is an excellent choice. If you have read our blog post on the best inversion tables for larger people. You will already know that most inversion tables tend to have a maximum weight capacity of 300 lbs and a height range that is limited to 6 ft 6″. You will also know that there are very few inversion tables that exceed these limits. 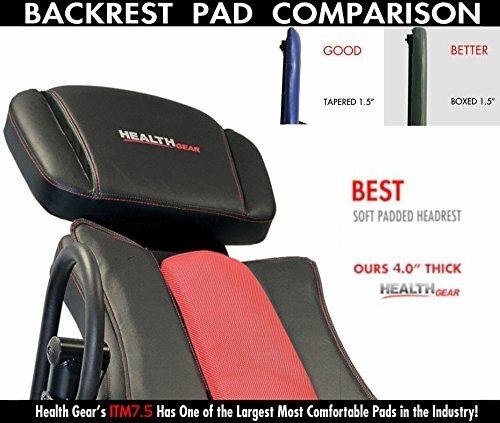 Therefore if you are over 6 ft 6″ the Health Gear ITM 7.5 is one of the only inversion tables that has been manufactured to accommodate someone of your height. The high 400 lbs weight capacity is also a great feature! If you do not need the additional height is it still a good choice? If you are under 6 ft 6″ you should still find this inversion table a very good table overall. However the price may be a little off-putting, especially if you do not need the extra weight capacity either! If the high 400 lbs weight capacity is what drew your attention to this particular table, you may wish to take a look at the IronMan 4000 or the Exerpeutic 975 SL. Both the alternative options listed have (above average) weight capacities of 350 lbs and they are both currently a lot lower in price! So you need to ask yourself if you really need the extra 50 lbs weight capacity that the ITM7.5 can provide? 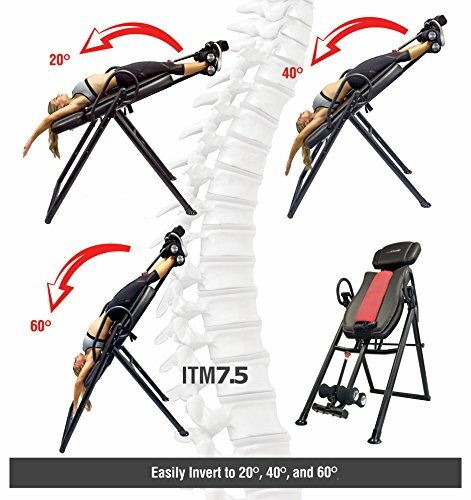 There is no denying that the Health Gear ITM 7.5 inversion table is a pretty good inversion table overall. It has a number of worthwhile features and the backrest and heat pad are some really good highlights. 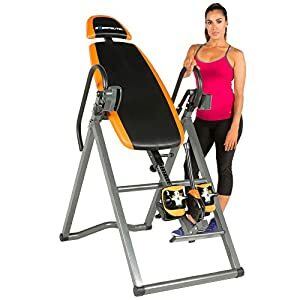 However, if you take into consideration the high price of the inversion table, these features alone do not really justify the high price tag. Therefore, unless you are interested in the ITM 7.5 because of the extra height it can provide or because you feel the 400 lbs weight capacity is necessary for you. 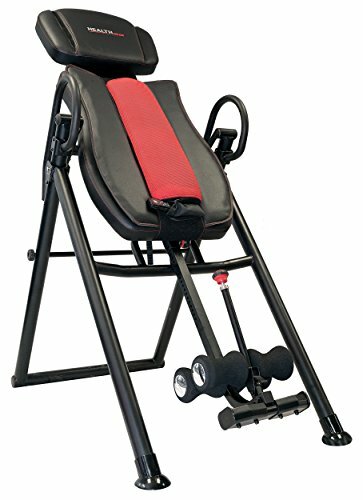 It would be more cost effective to purchase a cheaper heavy duty inversion table, such as the Ironman or Exerpeutic models listed above.